Offering you a complete choice of products which include pre engineered building system, industrial pre engineered building, warehouse shed structure, pre engineering building, secondary framing system and pre engineered buildings. Among the foremost entity of this domain, we are entitled as the leading manufacturer and supplier of Pre Engineered Building System that has gained wide demands among the clients. This building system is ideally suited for erection of various kinds of temporary as well as permanent structures such as warehouses, parking, factories and malls. The offered system is fabricated under the strict vigilance of our adept professionals using optimum quality basic materials and pioneering techniques in tandem with industry standards. Further, clients can avail this Pre Engineered Building System from us in different sizes and designs at industry leading prices. 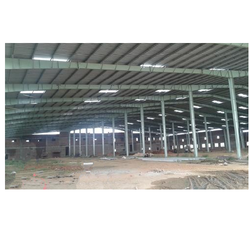 We are among the well-known manufacturer, exporter, importer, distributor, wholesaler, trader and supplier of excellent quality range of Warehouse Shed Structure. We manufacture these shed structures by making use of best quality of material & modern techniques keeping in pace with industry norms. 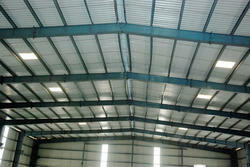 The shed structures provided by us available on different specifications as per the needs of customers. 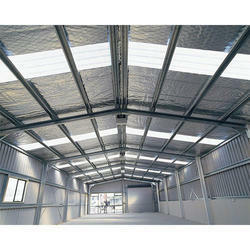 We provide these shed structures in a given time frame at affordable price. 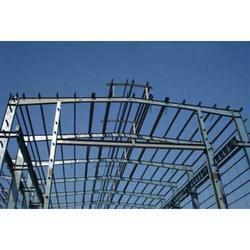 We are leading manufacturer and exporter of Secondary Framing System and our product is made up of good quality. This framing system is designed and developed using premium quality raw material keeping in mind specific requirements of clients. Offered framing system is manufactured by experienced professionals in compliance with international quality standards. Our clients can avail this framing system from us at very affordable price. We provide Surface Treatment of "C" & "Z" Profiles for framing systems made of cold formed steel coils. Ranging from galvanization to coating treatment, we offer varied solutions to profiles that are in line with the test requirements of IS: 4777 and IS: 2074. P M IMPEX manufactures a complete range of structural C and Z purlins for industrial buildings, garages, verandahs and carports, in fact for any structure that requires strong reliable steel framing. Manufactured from galvanized steel / CR / HR, this fully integrated system allow for flexible design options. 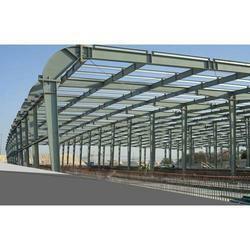 Z&C purlins are available with manual as well as automatic control panels. The flexible shape of these lightweight beams make it possible to design constructive solutions with a wealth of special advantages. P M IMPEX provides purlin in various thickness with similar depth for same structure, which assure cost effective prices for the structure. Capitalizing on our industrial exposure of 7 years, our organization is indulged in offering an assorted array of Pre Engineered Buildings. The provided buildings are find their extensive use for the settling up of warehouses, stations, parking, industrial sheds, sports facilities and other structures, These buildings are fabricated by our skilled professionals using quality-assured basic materials and modern techniques as per industrial standards. Furthermore, clients can purchase these Pre Engineered Buildings from us in different finishes, sizes and designs at cost-effective rates. Owing to our client-centric approaches and in-house production unit, we are indulged in offering a qualitative assortment of Conventional Steel Building. Strong, insulating and lightweight, the building provided by us is extensively demanded for erecting showrooms, commercial complexes, factories, stations, warehouses and others. Our adroit professionals fabricate this building with the judicial utilization of basic materials that are none to other in quality. Apart from this, the offered Conventional Steel Building can be availed from us in several designs, sizes and finishes at the lowest prices. We are a trusted name engaged in offering supreme quality Pre Engineered Building Systems. Offered building has roof and wall insulation of structures to reduce energy costs. This building is manufactured from the high quality material & modern techniques, as per international quality norms. 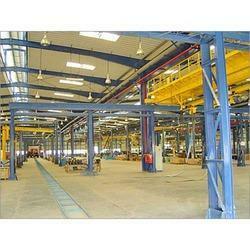 In addition, we provide this building on several specifications for meeting the variegated demand of customers.